Dispatched from and sold by eroihe. 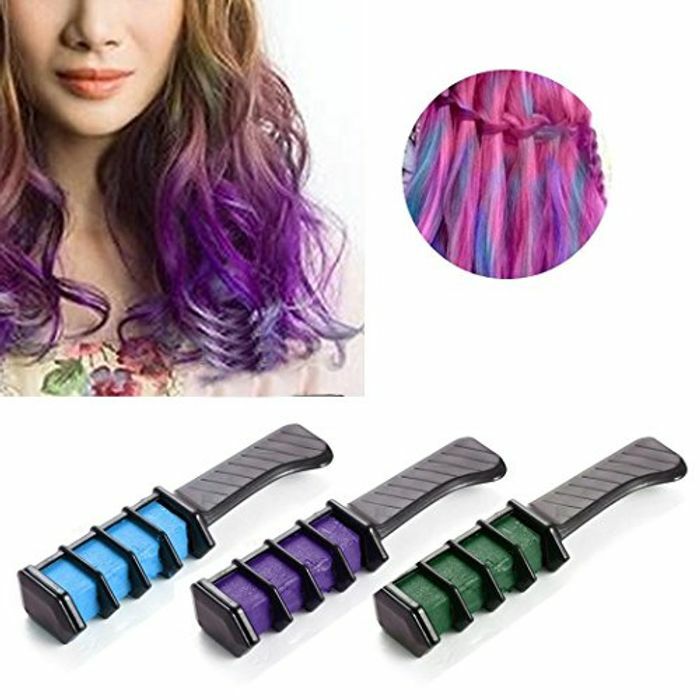 The hair chalks come with a unique applicator that allows you to simply brushon the color where you want it to appear! No more dealing with messy pens or compacts that crumble and break! Dye color free with no gloves - Gently dye color from top to end. The hair chalk creams will leave your hair soft and manageable once applied, and not sticky and stiff like other products out there. Ordered a few. Great for christmas stocking fillers! I wonder if this works on dark hair, I'll read some reviews. Thank you! I wonder if this will work on my dark hair, will read reviews and possibly order to try, thank you!